Last week students at Lamar Middle School were given a short survey to bring home to complete. It is the first step in a relatively new initiative at Lamar Middle School called Safe Routes to School. Safe Routes to School (SRTS) is a nationwide program to get children to school safely and efficiently by walking or riding their bike. It is a program designed to get kids moving again with the added benefit of reducing congestion and pollution around schools. It also lets children become better acquainted with the world around them as they travel to and from school. You see more of your surroundings when you travel by foot or bike. 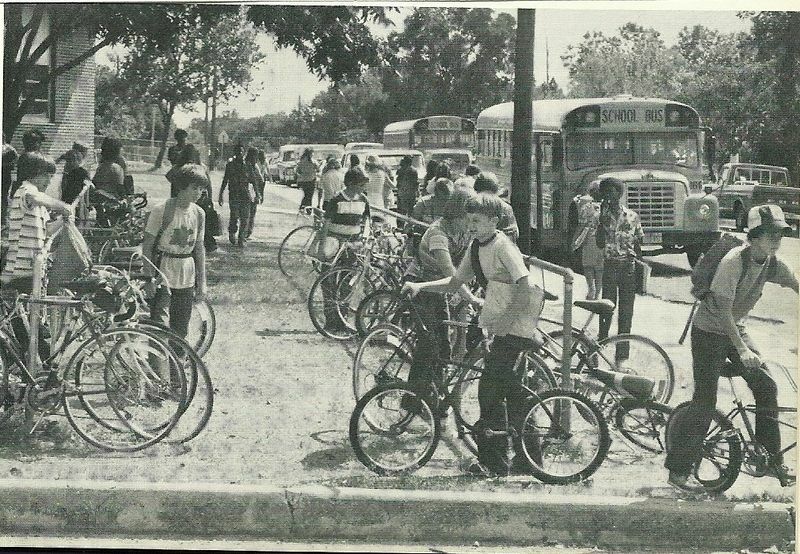 According to the national SRTS program, the number of kids biking to school has fallen from nearly two-thirds in the 1960s to barely 10% today. Over the same period, there has been a dramatic increase in the number of overweight children. Our SRTS committee at Lamar in conjunction with the City of Austin and the national SRTS program is determined to turn this around. 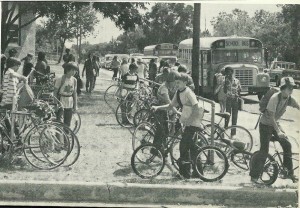 The black and white photo above was taken from the 1981 Lamar MS yearbook. The color photo was taken on March 31, 2010 at the Lamar bike racks. There is a lot to be done. 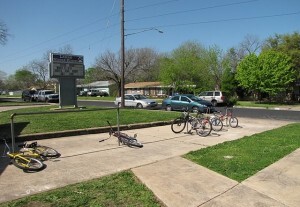 Step one is simply to find out how children at Lamar are currently traveling to school and what the impediments are to getting there on foot or by bike. Next steps and how we proceed will be shaped by what we learn from the survey. If you would like to get involved or stay current on the committee’s activities, contact Jane Herrin, Lamar Safe Routes to School Coordinator, jhherrin [Email address: jhherrin #AT# aol.com - replace #AT# with @ ].